Curb Appeal: Will your home make the cut? 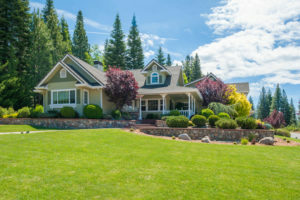 Home > Curb Appeal: Will your home make the cut? Thinking of selling? Take a look at your curb appeal. This means take a look at your house, from the street, like someone who is seeing it for the first time. Will they see flowers? A brightly painted door? Or, will they see the junk pile by the garage you’ve been meaning to haul off, or the old cracked flower pots that held last years annuals? Invest in a few easy fixes that will draw them in and make them want to see more. Need advice? Ask one of our professionals!